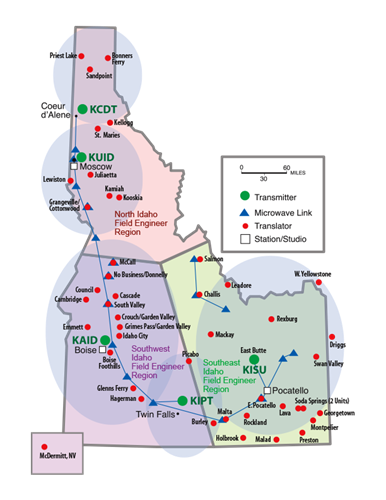 Idaho Public Television is Idaho's only statewide, locally-run digital broadcasting service, and offers national and Idaho-produced programming 24 hours a day. Local productions include Outdoor Idaho, Dialogue: Conversations from the Sun Valley Writers' Conference, Idaho Reports and Science Trek, plus our first new series in many years called Idaho Experience, looking at what it means to be an Idahoan. IdahoPTV, which is a member of PBS, also provides children's programming, educational resources for students and teachers, and national shows such as Masterpiece: Sherlock, PBS NewsHour and Charlie Rose. The Idaho Channel broadcasts in high definition on Channel 10 in the Wood River Valley, with three additional arts, performance and science program channels (114, 115 and 116), and a new 24/7 PBS KIDS Channel launching in February 2018. Check your member program guide for details.